This book is a compilation of CRS reports in 2018 and 2019 addressing Homeland Security issues. The first chapter is a 34-page report on the Disaster Relief Fund (DRF), one of the most-tracked single accounts funded by Congress. The report introduces the DRF and provides a brief history of federal disaster relief programs. It goes on to discuss the appropriations that fund the DRF, and provides a funding history from FY1964 to the present day. It concludes with a discussion of how the budget request for the DRF has been developed and structured, given the unpredictability of the annual budgetary impact of disasters, and raises some potential issues for congressional consideration. The next two reports are focused on The Assistance to Firefighters Grant (AFG) Program and the Firefighter Assistance Grants, the former of which provides grants directly to local fire departments and unaffiliated Emergency Medical Services (EMS) organizations to help address a variety of equipment, vehicle, training and other firefighter-related and EMS needs. 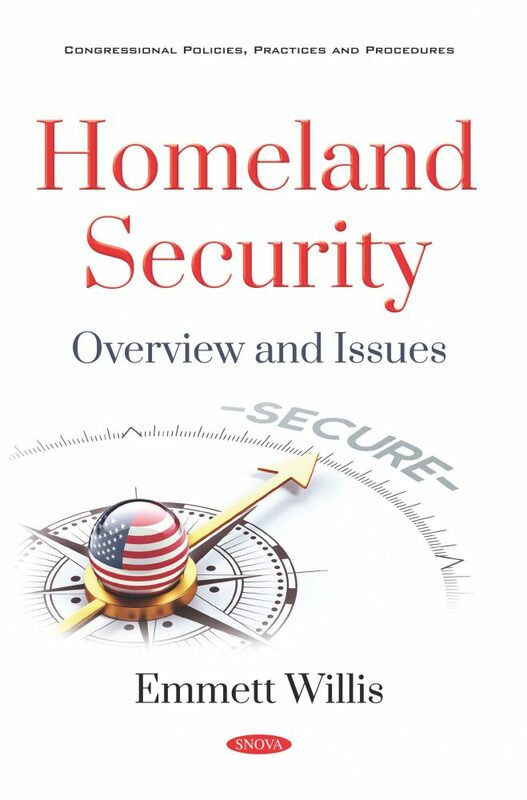 Subsequent reports are focused on Homeland Security Issues including US immigration laws for aliens arriving at the border, the Stafford Act Assistance (authorizes the President to issue two types of declarations that could potentially provide federal assistance to states and localities in response to a terrorist attack. This has been used in the past including in the September 11th 2001 attacks and the 2013 Boston Marathon attack). The last report is a discussion and analysis on whether DACA recipients are eligible for federal employment in the United States. Chapter 7. Are DACA Recipients Eligible for Federal Employment?